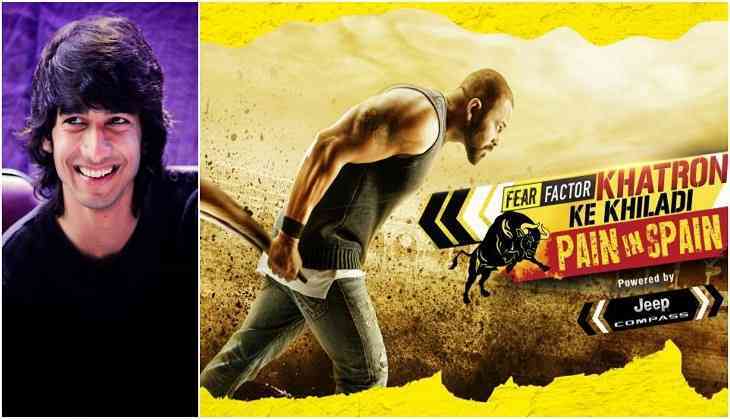 Reality show Khatron Ke Khiladi is soaring high on the popularity charts these days as the show has maintained it's place in the top 5 shows in the TRP charts. The anchor of the show Rohit Shetty is well known for his high temper and strictness with his fellow contestants. However he manages to lighten up the atmosphere of the show by joking up with the participants. These days Rohit has been enjoying teasing Shantanu Sharma who is a contestant of the show. The reason behind this tease is Shantanu's weird behaviour and gesture that he does before he performs every task in the show. A source close to the show revealed to a popular entertainment daily, “Shantanu had a peculiar habit of moving his tongue and head from side to side and mumbling something quietly to himself, before starting any stunt! He would also always call out to his mother in between any task or again before starting, and this would really crack up Rohit Shetty! He was always teasing Shantanu by imitating his tongue actions after the stunt was completed, and if Shantanu ever forgot to move his tongue and head before any task, he would at times joke with him about it. He also found the way Shantanu said 'Mumma' during any task quite funny, and would often call out to him as Mumma's boy." In the show Khatron Ke Khiladi, participants have to perform some difficult and dangerous tasks and at present Ravi Dubey who is a contestant of the show is acting really brave and performing the tasks really well. The show airs on Colors TV on every Saturday and Sunday.